With his sixth solo album, Two-Headed Monster, underground hip-hop veteran and critically-acclaimed MC Blueprint pays tribute to the proud tradition of MC’s who have been equally effective behind-the-boards. 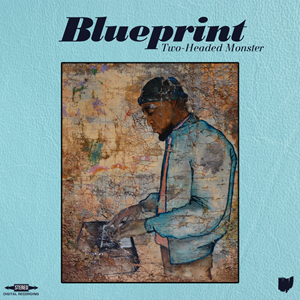 From it’s dusty drum breaks and surgically chopped samples, to it’s hard-hitting rhymes, Two-Headed Monster proves that Blueprint’s name is among the best producers to touch the mic in recent history. Unlike his previous solo albums, which rarely featured any guest appearances, Two-Headed Monster features and all-star cast that includes Slug of Atmosphere, Wordsworth, Aceyalone, Supastition, Mr. Lif, and Has Lo – cementing Blueprint’s status as a monster on both the beats and the rhymes.